Ubud, Sanur, Seminyak, Kuta, Nusa Dua or Canggu it can be difficult to know where to head to. Then factor in multiple islands positioned just off the Bali coast and you’re at risk of heading somewhere which – whilst beautiful – is not entirely the holiday style you were after. Fear not though; we have all the best places to go in Bali covered from top to toe, so you can sit back, relax, and enjoy your holiday. Kuta is the original go-to spot for Bali visitors and through the 90’s and prior was Bali’s main tourist hub. Located on the coastline 10km North from Bali’s international airport (Denpasar) Kuta is convenient, accessible and humming with activity. This is where you will find row upon row of markets selling Bali’s trademark knock-off gear, small and inexpensive food vendors at every turn and large bars brimming with activity, eager to draw travellers in until the wee small hours. This is where Bali began. 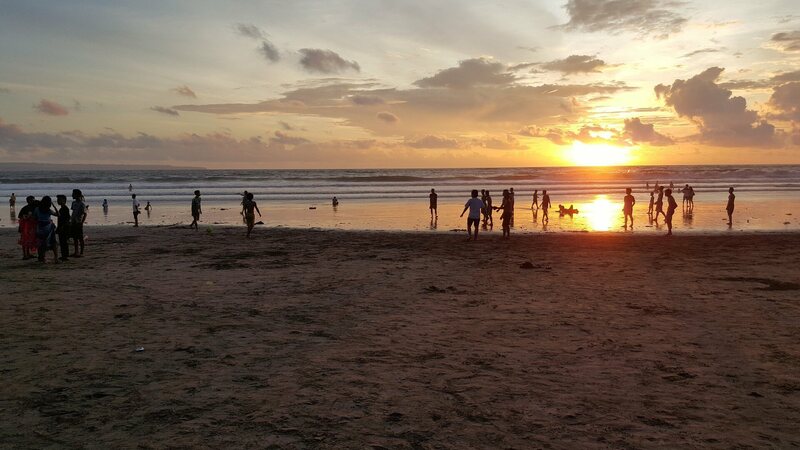 Kuta beach is 8km long and has beginner waves for those learning to surf. In fact, if you’re planning to surf in Bali but have little or no experience, Kuta would be a great choice to hire a board on the beach cheaply and head into the waves. 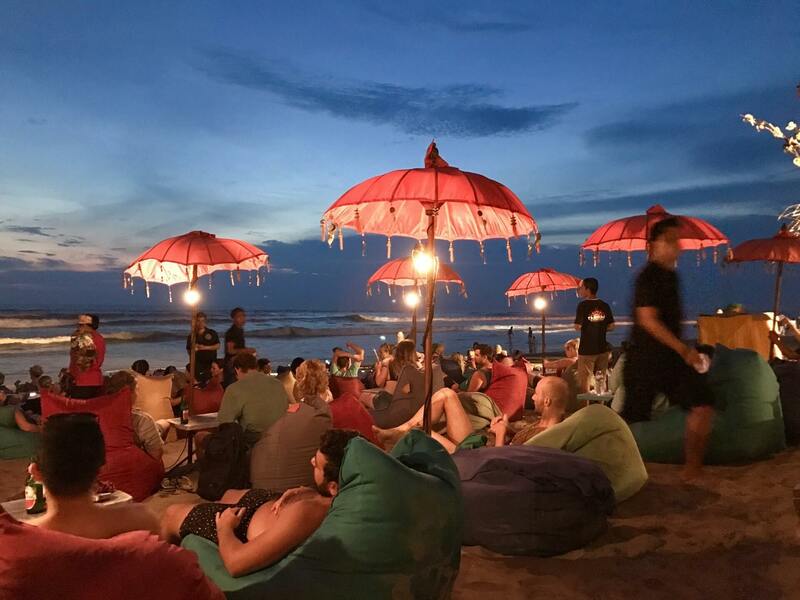 Unintimidating would be one way to describe Kuta for surfing and with beach bars and restaurants lining the sand, you’ll have everything you need before moving further afield. Full of energy and the authentic Balinese experience – haggling for low proces, beach massages, strolling about the markets – Kuta must be experienced at least once. Keep in mind that while this was the place to be back in the day, other areas of Bali have since left Kuta in their shadows. For the best places to go in Bali, Kuta has now slid down the list. Resorts on the beach are the way to go in Seminyak. 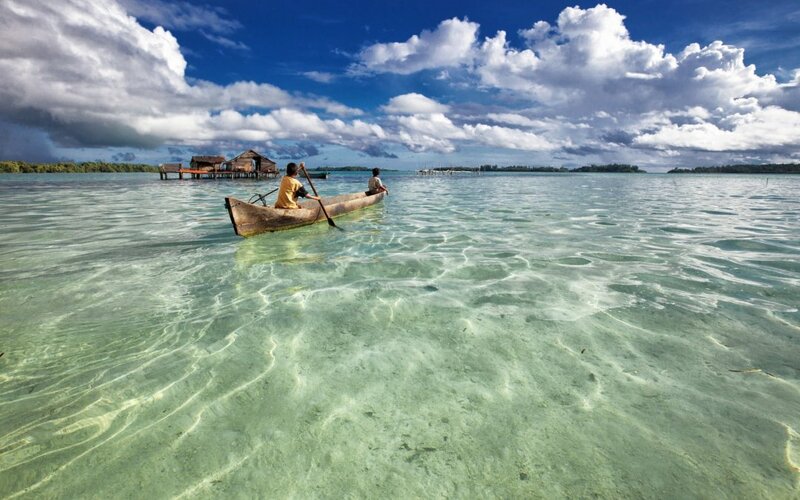 Picture clean oceans with white sandy shores in view from your infinity pool. When you’re bored of relaxing (is that even a thing?) then simply retreat back to your resort beach bar or swim up to the bar inside your pool (yup, they have those in Bali!) to remind yourself you don’t have to go to work tomorrow. Check out Potato Head Beach Club with one of the best sunset views in Bali, 3 restaurants, 3 bars and infinity pool all over looking the Indian Ocean. Canggu tends to have collected the Kuta crowd who now have slightly more disposable income than the old Kuta crowd once did. This is the hip place to be and if you are 20 something you will want to find your way here. Home to the famous Finns Beach Club, spend your days bikini clad with cocktail in hand listening to the spinning beats of D.J’s, and socialising with fellow travelers. Classy accommodation, nice beaches and plenty of entertainment; best place to go in Bali for socialites. Ubud is inland and utterly peaceful. Picture majestic resports tucked away in the hills, surrounded by bush and no noise but for a few birds chirping; that’s romantic Ubud. You could almost say there are two sides to Bali. There’s the crazy energy that comes with the beach vibe and then there is the nature driven inland scene where day hikes are prevalent, cycling around rice paddies is popular and feeling a million miles away from anyone is absolutely possible. For travelers who enjoy nature and serenity, that have more than a week in Bali, it is a nice idea to spend a week in Ubud and a week on the coast to experience a well-rounded holiday. Now you’re talking surf life. Uluwatu is known to be one of the best places to go in Bali for surf and this part of the coast is different to that mention before (Seminyak, Kuta, Canggu). Instead of flat beach front where you can walk from your resort to the waves in but a few steps, Uluwatu’s coastline is predominantly cliff faces. Resorts, bungalows, restaurants and cafes are typically perched high above the waves with perfect views of those dropping in or the picturesque sunset you’re ready to admire. Swimming is still an option in Uluwatu but you’ll find a more active holiday vibe going here with surfing, paddle boarding and beachside yoga at every turn. Now you have the low down on the best places to go to in Bali; let’s get your flights organised!